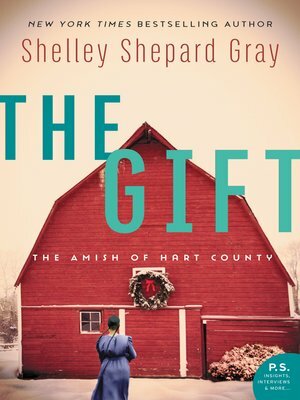 New York Times Bestselling Author Shelley Shepard Gray gifts us with a special Christmas story about love and blessings in this next book in her Amish of Hart County series. The Schwartz family is happy to be spending Christmas on their new farm in Hart County. But when Susanna Schwartz hears gunshots that causes her buggy to overturn, and then her little sister falls through a wooden bridge into the icy creek, it becomes clear from these dangerous "accidents" that someone wants them gone. Neil Vance has been heartbroken ever since his parents lost their family farm. He knows it's not the Schwartz family's fault, but he can't help but be resentful. Until he meets Susanna. She is kind-hearted and bold, and Neil can't stop thinking about her pretty green eyes. Neil thinks the accidents are just that, but Susanna's father is convinced the Vance family is responsible. Susanna refuses to believe Neil would do anything to harm her. She's fallen in love with him and knows he is a good man. But her family is ready to pack up and move, and time is running out to uncover the truth before someone gets hurt...or worse.